J.B.S. 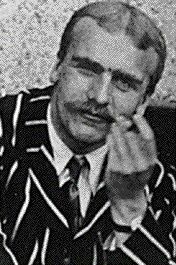 Haldane. In 1923 he predicted that hydrogen would be the fuel of the future. A Nikola hydrogen powered truck. By 2023 a number of companies, including Nikola, Toyota and Riversimple, expect to have fleets of hydrogen vehicles on the road. From the 19th Century onwards people have been predicting switching from coal to hydrogen as the energy to drive industry. 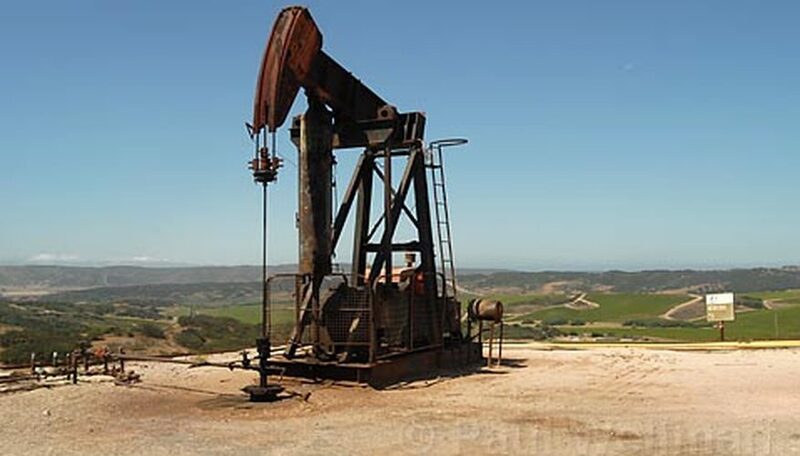 As cheap oil and gas were developed the prospect of making hydrogen from renewable energy was put on the back burner. Enthusiasts talked of ‘the hydrogen economy’ and lots of interesting experimental projects were developed. Over the last century fossil fuel usage has skyrocketed, destabilizing the global climate and creating urban smog. Now the need to switch to a cleaner basis for the global economy is more urgent than ever. Using solar and wind power to split water via electrolysis into oxygen and hydrogen means that cheap surplus clean energy can be conveniently stored and used to generate electricity when required, to directly drive industry or, and perhaps most importantly, in our transport infrastructure. There is much debate about whether battery electric vehicles or hydrogen fuel cell ones will predominate. Both will have a role to play. Both are essentially forms of electric propulsion. Battery electric vehicles are currently more widely deployed, but they have three major disadvantages. The batteries are heavy, slow to charge and have end of life recyclability issues. On this blog I’ve written several times about prototype cars, trucks, trains and ships using hydrogen fuel cells. Some cities have deployed fleets of a few dozen hydrogen fuel cell buses, but nowhere has yet seen the large scale transition from diesel to hydrogen. 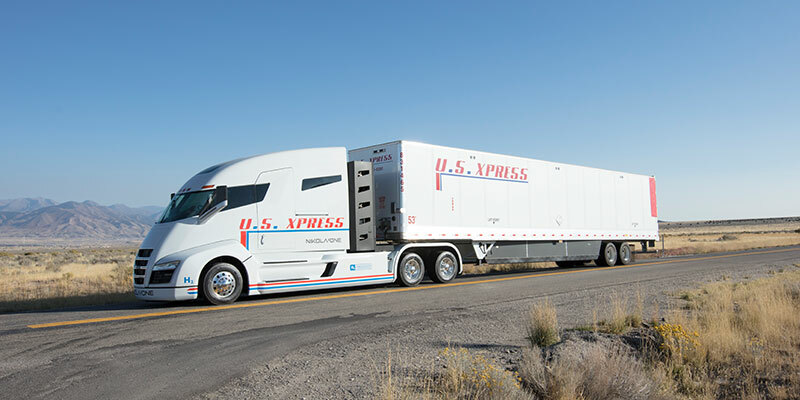 That may be about to change, and the change may be very rapid, in the key long distance trucking sector. A race to bring the first mass produced hydrogen fuel cell trucks onto the market is opening up, with Toyota and Nikola Motors competing for the key North American market. California alone is expecting a thousand hydrogen refuelling stations and a million hydrogen fuel cell vehicles to be on the road by 2030. Many of those refuelling stations will have onsite hydrogen production from local renewables. For example Toyota are partnering with Shell to build a biomass based hydrogen facility at the port of Long Beach in California. Compressed and liquefied hydrogen will also be transported by pipelines and tankers from where electricity can most cheaply be generated to where energy is most in demand. This might include utilizing Iceland’s geothermal, Norway’s hydro or Moroccan solar to supply the major cities of Europe. Japan and South Korea are power hungry and energy resource poor places and could in theory be supplied from Australia with solar used to produce cheap hydrogen. Western Australia has just established a Renewable Hydrogen Council to research just such opportunities. In 1923 Haldane predicted a hydrogen economy. By 2023 we might have made a good but rather belated start. This entry was posted in Energy, Transport on 7 September 2018 by Richard. Yesterday California passed legislation to achieve 100% low carbon electricity by 2045, with 60% by 2030. This is a policy academics such as Mark Z Jacobson and many environmentalists have long advocated. 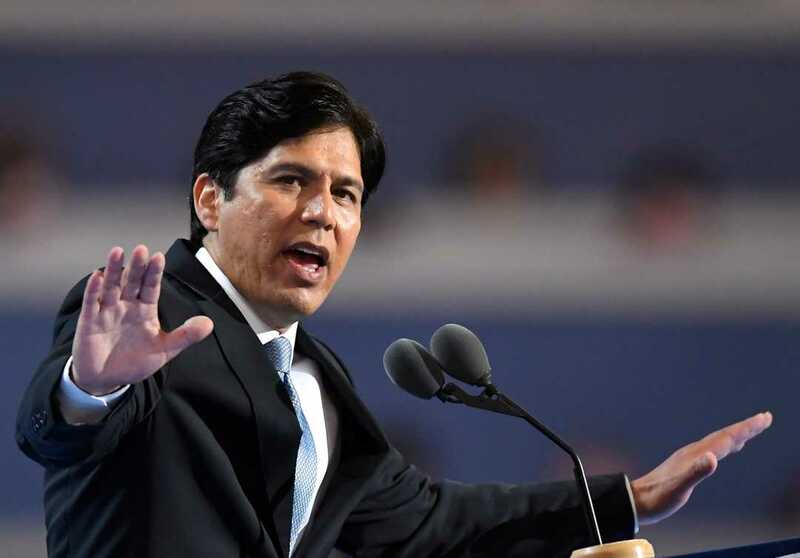 The legislation was introduced by the Democratic Senate Leader Kevin de Leon and was passed with the support of climate conscious republicans such as Chad Mayes and Arnold Schwarzenegger. Meanwhile a few weeks ago Donald Trump scrapped Obama’s clean power plan and is attempting to promote greater use of coal. If successful this would of course be a disaster for public health and for the climate. However industry analysts think his legislation will have only marginal effects on keeping a few coal plants operating a bit longer, in a few States. A huge division is opening up in America as a growing number of States, led by California, Hawaii and Vermont are pursuing 100% renewable electricity. Environmental considerations rightly play a part in their thinking, but so too does the falling costs of wind and solar power. Also renewables create many more jobs than coal, gas or nuclear. Trump makes much of trying to protect jobs in the coal industry, but his real motivation seems to be more about protecting the share price of his backers in the coal industry, and I think also his personal hatred of anything that smacks of care for the planet. California has abundant renewable resources. By developing these resources intelligently it could create many social, economic and environmental benefits. It might well find it has got to 100% renewable electricity well before the 2045 deadline it has set itself. This entry was posted in Climate Change, Energy on 29 August 2018 by Richard. One of the themes I write about most often on this blog is the shift from fossil fuels to renewables. Today I will write about two very big solar projects that are currently being built, one in Egypt and the other in Dubai. One of the interesting aspects of Benban is that, as far as I can see, it has no on-site energy storage. However it is not very far from the Aswan Dam. The two projects could be used in tandem, with water held back in the day time while Benban is producing solar electricity, then the hydro turbines could be opened to full in the evenings to match demand. In the longer term, as Egypt develops lots more solar energy the Aswan Dam could also be converted into a pumped storage hydro facility. In Dubai the Mohammed bin Rashid Al Maktoum Solar Park is currently being built in phases, the first of which came on stream in 2013, a small first step with just 13 MW of solar photovoltaics. Subsequent stages are each much bigger, and by 2030 they anticipate the whole planned 5,000MW plant will be operational. 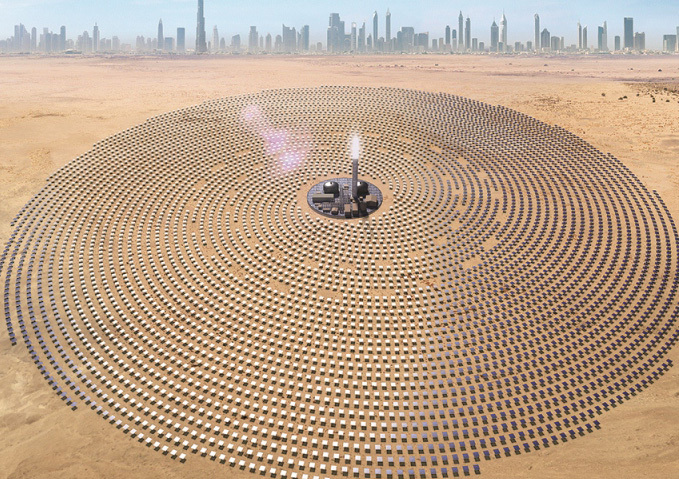 The fourth phase contracts have just been signed for 700MW of concentrating solar thermal power, made up of three 200 MW parabolic troughs and a 100MW central power tower. The whole system will have up to 15 hours of thermal energy storage, probably in the form of molten salt. This will mean that this solar park will be able to supply reliable electricity night and day to Dubai. Each successive phase of this solar project has seen the price of power come down as the technology continues to improve. Many countries are now rapidly ramping up their use of solar power. The global transition from ‘The Fossil Fuel Age’ to ‘The Solar Age’ is underway. Whether humanity makes this transition fast enough to escape the worst ravages of climate change will be one of the prime determinants of our collective future as a species. Bring on ‘The Solar Age’! This entry was posted in Energy on 12 August 2018 by Richard. Almere, pioneering community self building on land reclaimed from the sea. Apologies, it’s now nearly a month since I last posted a blog. I usually try and write one every week or so. It’s been a busy month. One annoyance has been the General Data Protection Regulation regulations that I couldn’t fathom, which meant that I’ve cancelled the Mailchimp automated newsletter, and I’ll have to work out how to delete the sign-up form from this webpage! Sorry to those of you who enjoyed getting the blogs via the newsletter format. Over the last week or so I’ve been to three events that each in their own way were inspiring and indicated positive trends. All could do with strong government support to really grow to their full potential. The first event was the AGM of Ledbury Solar Coop. The coop is doing well and the directors are doing an outstanding job. This is one of the Sharenergy renewable energy coops of which I’m a member, and which I’ve frequently mentioned in previous blogs. To me they seemed to have massive potential to meet many social and environmental challenges. Unfortunately government support has been weak, confused and generally unhelpful, which has certainly slowed the spread of such coops. The next event was Riversimple’s launch of the Rasa in Abergavenny. It is looking increasingly likely that our car club will be part of their trials for this hydrogen fuel cell car. The Riversimple car and our car club are things I’ve blogged about before. Together they indicate a way of moving beyond the era of individual ownership of wasteful and highly polluting petrol and diesel cars. We could free up a lot of urban space, cut traffic congestion and pollution by moving toward more flexible patterns of mobility. Together these three events show how energy, transport and housing outcomes could all be improved. This entry was posted in Buildings, Energy, Local, Transport on 15 June 2018 by Richard. India has built a lot of coal power stations, but will they become stranded assets, displaced by cheaper, cleaner solar? Last month atmospheric Co2 levels passed 410 parts per million. To avert climatic catastrophe humanity needs to shift away from fossil fuels as quickly as possible. India presents us with both the scale of the challenge and the scope of possibility. The government of India wants to bring electricity to all its 1.3 billion people, the population is still rising and the country is rapidly industrializing. Energy demand is increasing, and so too carbon emissions. Many new coal fired power stations were built in the decade 2007 to 2017, more than doubling coal capacity. This all bodes ill for local air quality, and for the global climate. At the Paris climate summit a couple of years back the Indian government was rather dragging its feet, only promising to decrease the carbon intensity of its economy, while planning for rapid economic growth and emissions still rising for years to come. However things could change for the better very rapidly. The price of solar, both photovoltaic and concentrating solar thermal, is falling fast, and India has a very good solar resource. In 2017 for the first time India added more new renewable capacity than new coal. Many coal plants are proving economically unviable: they simply cannot match solar on price and are shutting down. As solar prices are predicted to keep falling this should only accelerate this process. Currently the government are still trying to protect coal from these market forces. They are also beginning to grasp the new opportunities that solar can bring. For isolated rural communities across India local solar plus storage will be key to their development. At the other extreme are new solar based megacities. The Dholera Special Investment Region, located near the head of the Gulf of Khambhat in the Indian state of Gujarat, is a huge area earmarked for a new city and cleantech industrial hub. A 5 GW solar pv plant is planned, with local manufacture of solar cells and panels and other ancillary industries. This will further decrease the price of solar electricity, hastening the demise of coal. A project like Dholera opens up many new opportunities to create new forms of prosperity not based on ever more pollution but on new and ecologically sustainable technologies. It would be a perfect place to invest heavily in solar desalination and new forms of super productive hydroponic agriculture, on many forms of energy storage and on electric and hydrogen fuel cell transportation systems. India could lead the world with the speed to its energy transition. Technologically India has lagged behind Europe, USA or China, but it has probably the best solar resource of these four. It could leapfrog them, and be the first solar powered superpower. Essentially it is a political choice, which path India will follow, coal based or solar based development? The economics of going all out for solar are looking increasingly good, which is good news for India, and for the rest of us. This entry was posted in Climate Change, Energy, Global on 17 May 2018 by Richard. Costa Rica is providing leadership in so many inspiring ways. Following a short civil war in 1948 it abolished its army and has for these last seventy years put the money saved into improving education, health and welfare systems. It now has longer life expectancy than USA. It is by far the most peaceful country in Central America and has very much lower crime levels than any of its neighbours. 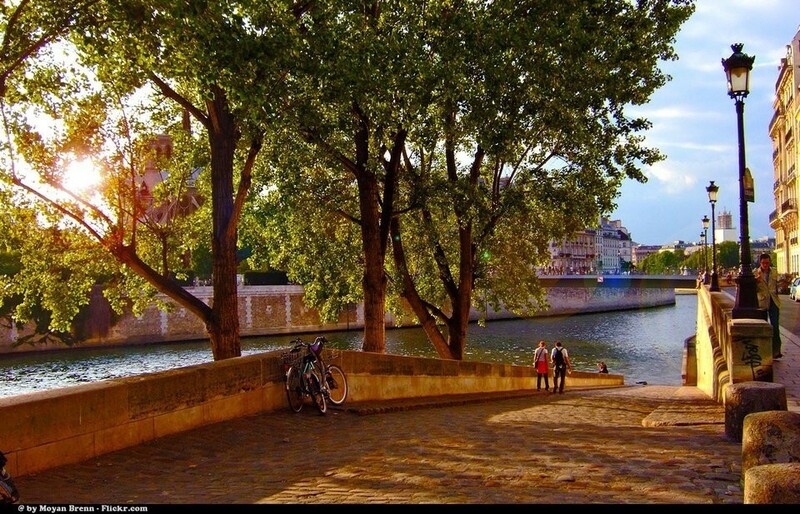 It has done much to protect and enhance its biodiversity. It has long been a beacon of good democratic government, and last month elected Carlos Alvarado as president. The new president arrived at his inauguration ceremony in a hydrogen fuel cell bus, the first one in Central America. Costa Rica has for some years got about 99% of its electricity from renewables and has famously gone for 300 days without needing to burn any fossil fuels to generate electricity. It seeks to be a world leader by being the first country to fully decarbonise all its energy use. Transport is the big challenge. Carlos Alvarado has announced the incredibly ambitious goal of replacing all petrol and diesel use with battery electric and hydrogen fuel cell cars and buses by 2021. That would be a global first. It may not be fully achievable within these four years, but it is a goal worth pursuing. President Alvarado has described the full energy transition as a ’titanic and beautiful task’. In order to make the transport sector fossil fuel free they will need to expand their renewable energy systems. So far most comes from hydro, with geothermal expanding quickly. 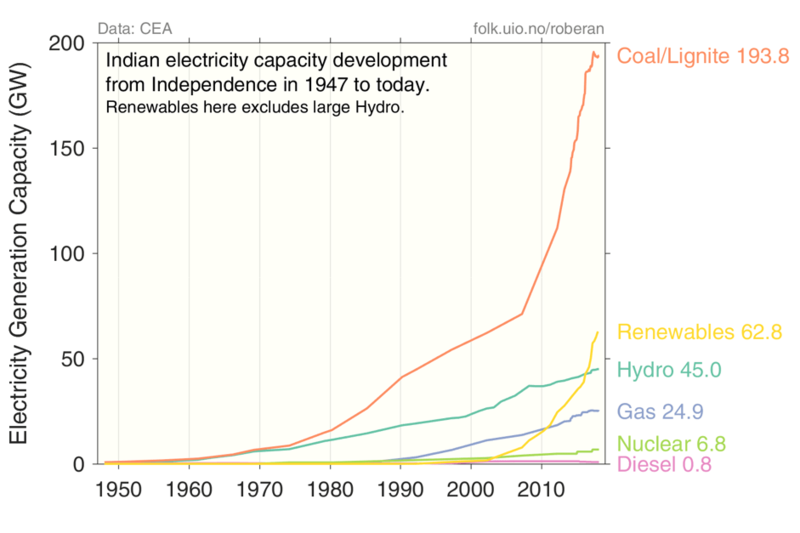 Solar, wind and biomass are all still relatively underdeveloped. There is lots of scope for expansion. It will be very interesting to see what they can achieve in these next few years. All the indexes and polls measuring happiness and wellbeing put Costa Rica up near the top, along with the five Nordic countries of Finland, Denmark, Norway, Sweden and Iceland. Low military spending, low levels of economic inequality, strong commitment to ecological sustainability and well functioning democracy seem to be unifying themes which help build a strong sense of social solidarity, wellbeing and happiness in all these countries: surely a recipe for others to follow? This entry was posted in Energy, Global, Politics, Transport on 12 May 2018 by Richard. 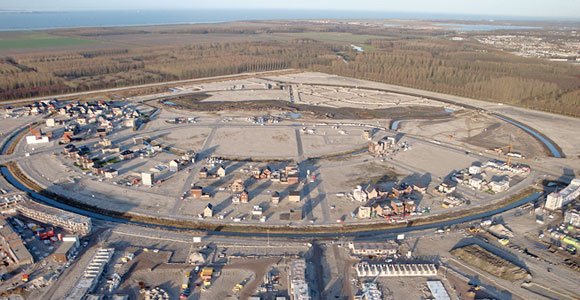 Tilt renewables want to turn the old Highbury Quarry into a pumped storage facility. The Australian power company AGL plans to close the huge Liddell coal fired power station by 2022, and replace it with renewables and storage. The Australian Prime Minister Malcolm Turnbull recently pleaded with them to keep it open saying “You can’t run an electricity system just on solar panels and wind farms. You can’t.” Well, Mr Turnbull, you are wrong, and you are holding back the Australian economy with your outdated understanding of emerging technologies. Let me explain. Australia could use the power of the sun and wind for all its energy needs, for electricity, heating, cooling and transport, 24 hours a day, 365 days a year. There would be many advantages in doing so. Obviously there would be the environmental advantages of cleaner air and plummeting carbon emissions. What is less well understood is that now there would be enormous economic benefits. The costs of renewable energy and of storage technologies continue to fall as repairing old coal fired power stations rises. With renewables, once the equipment is up and running the ongoing costs are minimal, whereas with fossil fuels, as they are burnt, there is the ongoing cost of fuel. With every year that passes the balance tips further in favour of renewables and storage. Understanding storage is of critical importance. Batteries are the best known form of storage, and in 2017 the number of home energy storage batteries in use in Australia tripled as their cost tumbled, and as costs are projected to keep falling people will keep buying them to back-up their rooftop solar photovoltaic panels. There is now a cumulative capacity of 170MWh in all these domestic scale batteries, and this is bound to keep rising rapidly. A few months ago, with much fanfare, Tesla opened the world’s biggest battery adjacent to the Hornsdale wind farm in South Australia. It brings another 100MWh of storage onto the system. Many more batteries are planned, both domestic and industrial in scale. In Adelaide there are plans to install solar panels and batteries to 50,000 homes, which would in effect add a virtual power station with 250MWh of storage. However it is not just batteries that will be used to store all the cheap, clean, wind and solar energy. 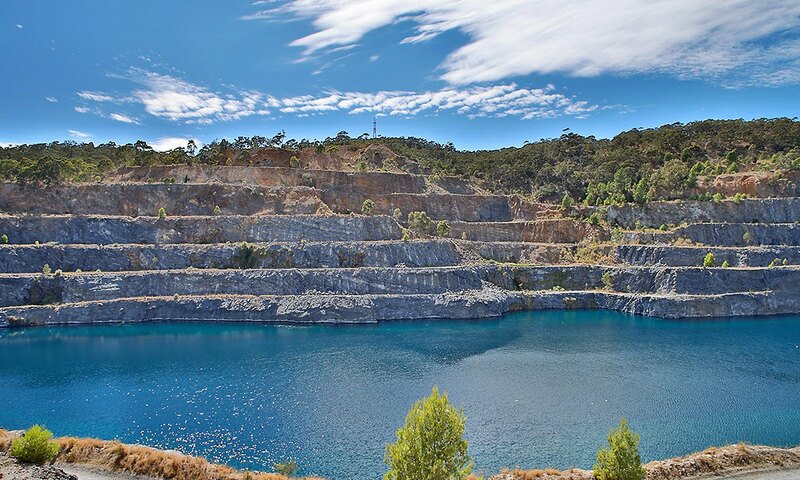 Tilt renewables are planning a new pumped hydro storage facility in an old quarry in the Adelaide suburbs, with a capacity of 1350MWh storage. They are also planning on adding a 44MW solar array and a 26MWh battery to their 368MW Snowtown Wind Farm, which all taken together with their pumped storage, will greatly increase the usefulness of the wind farm. Solar Reserve expect soon to start construction of the 150MW Aurora concentrating solar thermal power station, just north of Port Augusta, also in South Australia. This will have eight hours full load thermal storage, thus adding another 1200MWh of storage. As transport systems switch to hydrogen fuel cells and battery electric vehicles they will soak up vast quantities of surplus solar and wind generated electricity. Hydrogen, methanol and other storage gases and liquids will be used as more ways of storing energy, to add to the batteries, pumped hydro and thermal methods of storage. A 100% renewable energy economy should be every bit as reliable as the existing infrastructure, as well as being less polluting and cheaper. South Australia has elections coming up on 17th March 2018 and energy policy is a central issue. In 2012 I wrote a blog called ‘Repowering Port Augusta’, where I argued for building renewable energy facilities and then closing down the dirty and decrepit Northern and Playford B coal power stations. Unfortunately these obsolete power stations were closed before the renewables were rolled out, compounding mismanagement and leading to a shortage of electricity, chaos, blackouts and price hikes across South Australia. Jay Weatherill’s Labour Party and Nick Xenophon’s SA Best Party have both now come to understand the need to switch to a renewables based economy. Please Malcolm Turnbull and Steven Marshall get your Liberal Coalition Parties up to speed with what is now technically possible and what the advantages might be for the Australian economy. Please help roll out the whole raft of renewable and storage technologies as fast as possible, ideally before obsolete old Liddell closes in 2022! This entry was posted in Energy, Global on 15 February 2018 by Richard.